Tea Time for Lent 2018 - Episode 2! Resolution Time! I'm back with another short episode of the Tea Time podcast for the first full week of Lent! Today we chat about Lenten resolutions. What are mine? How are they going? What are yours? Is it possible to get back on the bandwagon after falling off? I'd love to hear from you! *I said Magnificat Advent Companion in the recording, when I obviously meant the Magnificat Lenten Companion! 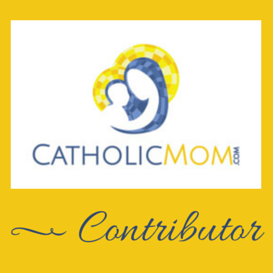 Comment below on all things Lenten resolutions! I have lots of Lent stuff to talk to you about in Tea Time tomorrow. Are you as excited for that as I am?! I'm SO glad that I started that back up again for Lent, and it's back to it's older short form! So if you'd like to listen, but don't have a lot of time, this new short format may be for you. All right, so chapters 1-6. Let's dive in! A lot of anxiety was exuded during this part. :0 Mouse is caught by Longinus, a Roman centurion. Mouse is working with a guy named Dismas, and though Dismas seems callous and selfish, he actually comes back to save Mouse. A big sigh of relief was exhaled when they both escape. And then the second chapter started, and I was like HOLY C*#@! MOUSE IS A GIRL!! Mouse is actually Nissa, a young Jewish woman who is desperately trying to keep herself and her blind brother, Cedron, alive in the face of their parents' neglect and addictions. And she's also trying to keep the family donkey fed too. I really like that Nissa. Nissa feels pretty down on herself because she thinks of herself as plain. Her father and various other questionable men in her life have convinced her of this. She believes that she is plain to look at, and that her sharp tongue makes her unattractive to those seeking a wife. She has resolved to be a caretaker for her beloved brother, and for Amit the donkey. Although the stealing has been working, she wants to quit and find an honest way to make their living. Next, we spend some time with Longinus. He's a character that evokes mixed sympathies from me: he has a job that involves violence and cruelty towards others, but he has an empathetic side that he tries to keep hidden from his colleagues. In a scene similar to what we saw in The Well, he goes to the bathhouse with his smarmy compatriot, Silvanus. He hates Silvanus and his treatment of others, and comes to the aid of Silvanus's victims where he can. But he has to be careful. Silvanus challenges him to find the thief who got away recently as a test of his manhood or some such notion, and Longinus agrees. He wants out of this duty post, and this is his way of proving himself and receiving a requested transfer so that he can live in peace. I feel for Longinus, but I also have a very bad feeling about all of this. Back with Nissa, her father's gambling has caused her to reevaluate her cessation of stealing. He has yet again gambled away what little money they had instead of paying their rent, AND he has absconded with Amit the donkey; Nissa fears that he will sell the animal to a tanner for money. I may have cried at this part. So Mouse comes back out, and the danger is very real. Mouse and Dismas are very much at risk of being caught. We move into a heartbreaking scene in front of the Temple, and here we see Jesus for the first time. He is intervening on behalf of the woman caught in adultery, and saving her from being stoned. Everyone is quite taken and/or bewildered by this new character, and Nissa knows that Cedron has heard of this man and wants to meet him. She collects enough loot to provide for the family for a time, splits it with Dismas, gives some to a starving woman begging on the Temple steps, and heads off to change and find Cedron. Cedron is just the sweetest, and is immediately taken with Jesus. Jesus puts mud on Cedron's eyes, and tells him to go wash in the pool of Siloam. This is where chapter 6 ends. I think I know where this is heading, and I'm super excited to find out if I'm right! I'm also super nervous, have I mentioned that? 😰 There are lots of possible yikesies looming on the horizon. I have a feeling that the ending is going to pack a wallop, since we know just from the description that we do get to Holy Week in this story. I am loving this book. I'm getting a lot of out of it spiritually, with the timing and setting, and I find the characters very relatable. The story is moving VERY rapidly and I'm all caught up in the events. I cannot wait to read the next 6 chapters! What did you all think?! Leave your comments below or over in the Facebook group! These are going to be *short*, 9ish minute vignettes that I share each Friday during Lent on a Lenten theme or my own Lenten experience. This week I talk about Ash Wednesday, and my attitude of starting Lent off strong. I hope that you'll join me! How was your Ash Wednesday, dear listener? I'd love to hear from you! 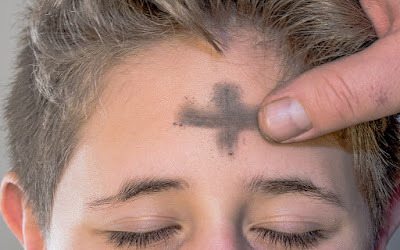 ooooo, Ash Wednesday is almost here! I have to say, despite Lent being a penitential season, I look forward to it every year. It's a time for contemplation and reflection, a time to refresh and grow. It also means that it's at least midish February (sometimes early March) and so spring is not so far off in the future. 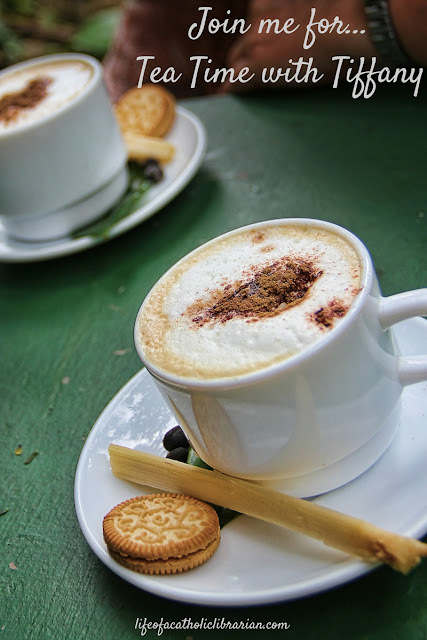 Lent causes me to truly appreciate the sacredness of Holy Week, the poignancy of the Triduum, the breathtaking awe of the Easter vigil, and the sweet relief of Easter morning. I love it. This Lent, I am aiming to keep it simple, but meaningful. My item that I will give up is alcohol. Indeed, it is a bad habit to rely upon that as a way of winding down after work, and so this is a sacrifice that has been a long time coming. 😳 As well, I have the Magnificat Lenten Companion downloaded for Henry and I to share each evening, and the January/February/March issue of Our Daily Bread for myself to reflect on in the mornings. And therein lies the entirety of my plan. In the past, I had more grandiose ideas, and inevitably, I'm not able to keep up with it all for the entirety of Lent. Then I feel like a failure, and by Holy Week, I'm castigating myself for yet again, being the Worst Catholic in the Known Universe. This year, I'm keeping it a little simpler. I'm curious to see how it will all turn out by the time Holy Week rolls around. And frankly, I could use a Lenten boost, because the winter blues have hit me with a vengeance this year. I normally love the winter, but for whatever reason, this year it's affecting me differently. When the new semester approached, I assumed that, given my lovely holiday break, I would be a little down, but that I'd get back into the routine soon enough. Miss Type A over here tends to thrive in routine. Not this year. We're on the third week of the semester, and my malaise has not let up. I dread coming to work, and I'm emotional and teary at home in the evenings. Not necessarily about work, just about...everything. It's like I don't totally understand why I feel so sad and cannot shake it. I'm normally a very upbeat person, and so this was a huge red flag for me. There is only one other time I remember feeling this way, like I couldn't control the depth of my emotions, and that was right after I had my kids. Postpartum depression. I'm obviously not postpartum now, but the basic physiology in my brain is the same: Depression. I'm thinking it's seasonal, but I suppose I don't totally know for sure. I just know that it's very unusual for me. I decided to be proactive and get myself moving a bit more, because I know that there is a connection between physical exercise and mental health. I'm certainly not an inactive person - I go to 3 dance classes per week right now, and I take 30 minute walks at lunch when I can. But I know that dance technique classes, for all of their many benefits, are not cardiovascular or strength training exercise, so I decided to step it up. I'm participating in a free fitness class for staff here at work on Tuesdays, and in the big step I did something that I've never done before: I joined a gym. The free class at work is called High Intensity Interval Training (HIIT), and as evidenced by the fact that I can hardly walk the next day, I suppose it's "working." To be honest, I don't really love it, because I have a weak knee that I don't want to risk injuring, and the intervals are extremely fast paced and involve lots of getting up and down. But I've tried to modify things as best I can to accommodate for that, and I adore the second half of the class, which is more traditional strength training with hand weights, working our way through specific muscle groups. Afterwards, this type of exercise makes me feel an endorphine rush, and like I could climb Mt. Everest. This is what got me thinking about a gym. I dance for reasons other than physical health, ironically. It's a creative outlet for me. Besides short walks, and now the HIIT class, I don't really dedicate time to fitness. I decided to check out the free trial at a local Crunch gym that I drive right past on my way home from work. Gyms intimidate me, just keeping it real. They are generally filled with people in extremely good shape, who take fitness very seriously. I know squat about fitness. After 5 minutes of discreet frowning and head scratching, I can figure out how to turn the treadmill on, but that's about the size of it for me. Those weight machines? Looking at any one of them, I can barely figure out how you would even sit on the thing, let alone what it's supposed to DO for a specific part of your body? Nefariously, some of them you DON'T EVEN SIT ON; you hang, lean or otherwise contort around them, and trying to figure that all out without getting in some other gymgoer's way makes me break into a cold sweat. Let's not even get started on the free weight area. I would rather get a root canal that go over there and deal with all the unspoken social interactions involved in that Pit of Potential Awkwardness. So I went for my free trial. I donned my gym clothes and naturally, made my way over to the treadmill area. It did take me 5 full minutes to figure it out, don't judge :0, but I got it going, and managed a 30 minute slightly inclined walk. While I was doing so, I gym watched: how did the People In The Know use the scary torture machines? Ooooo, you put your legs THERE. Oh, oh, what are they doing now?! Ahhhh, that's a cleaner bottle thingy to wipe the machine down, good idea. That seems particularly smart for the winter. Oh I see, that's a machine to do abdominal crunches on. For reasons I cannot explain given how uncomfortable it looks, that seems like a very popular one. All of that being said, I did enjoy my trial. When I'm there, I'm focused on doing something healthy for my physical and mental well being. I'm in The Zone. I push myself much more than if I was taking a quick walk during my lunch break. Importantly, Crunch has a $9.95 per month option, and does not require you to sign an annual commitment. I went for it. This is only my second week, and my big Adventurous Move was to move from the treadmill to an elliptical machine and pick a random track rather than simply setting a speed. But hey, I'm getting there! I do want to try the weight machines, and they have a 30 minute circuit that I'm itching to attempt. I feel very self-conscious because I don't know how to use anything and I don't want to be a nuisance to anybody else and/or be in their way. But I'm working my way up to it. All right, today is Fat Tuesday, and I'm trying to perk. I'm dancing with my troupe tonight at a benefit for the SPCA, which is fun, but it's going to be a long day. I'm looking forward to Ash Wednesday tomorrow, and navigating Lent beside all of you. 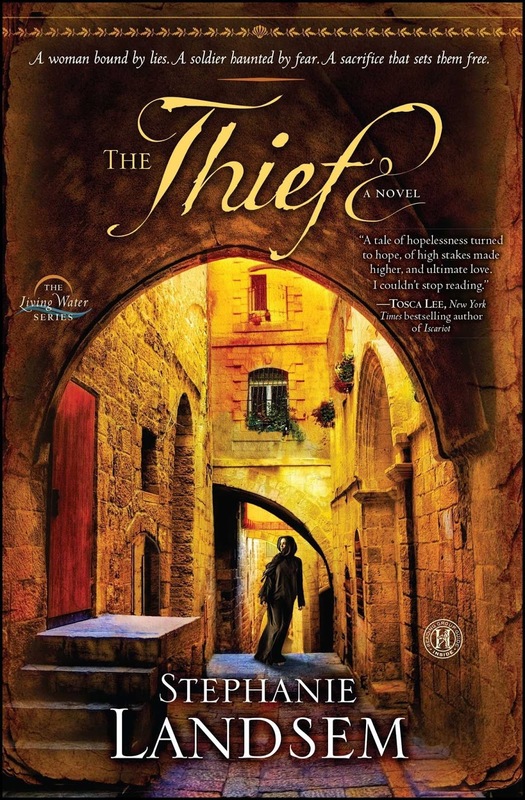 *heart* Starting tomorrow, I'll begin The Thief in anticipation of our first book club post next week! How are you prepping for Ash Wednesday? I'd love to hear from you! Good day to you all! I'm working hard to have a better week over here. It's been intense, to be sure. Once again (*long suffering sigh*) we've completely redesigned our course, and thus each week the way that we are presenting the material is totally new to us. As you can imagine, this makes for time consuming preparation, in addition to all of the teaching, grading and email answering that is involved with having 200 students. It's not entirely pleasant, but it's not all that unpleasant either, if that makes sense. I'm getting used to it again, and if you can believe it, the volume is actually *better* than it's been in previous semesters. So I'm trying to look at the positive things, and not complain about the negative things. It can be a challenge, but it's actually going pretty well. Lent starts NEXT WEDNESDAY, how did that happen?! I've been busily planning away. I downloaded the Magnificat Lenten Companion, and plan to read that each night with Henry. I also may give up wine. 😨 That might be a little rough when I'm looking to wind down in the evenings after work and the kids go to bed, but I think it would be fruitful. What are your Lenten plans shaping up to bed? 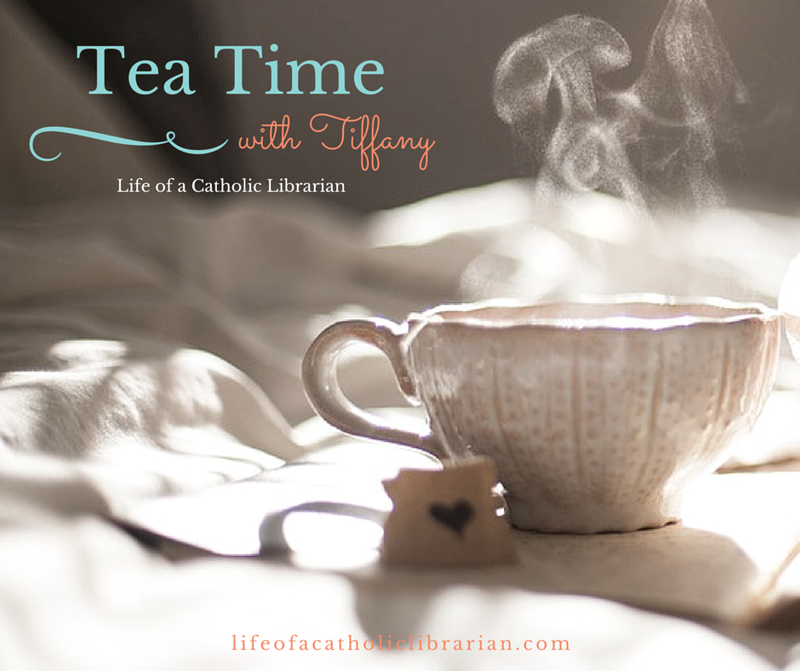 I had a little heart-to-heart with myself, and realized that during Lent, while the semester is very much in full swing, I will not have time to both write a book club post each week *plus* put out a short Tea Time podcast episode. I really wanted Tea Time for the major liturgical seasons, but Lent simply isn't going to work, at least not this year. I still think Summer Ordinary Time is a very viable possibility though, so that is my goal. For now, I'd like to focus on weekly therapeutic posts, along with the book club. These will likely be together in one longer post each week. How does this sound to everybody? The chapters aren't long (the book is about 340 pages total), so I think it will be manageable. As soon as your copy arrives, you can get to reading, and I think the timing will be good! Thoughts? Who do I have joining me this Lent?! Leave a comment! Hello all, I'm coming to you from a prone position on the ground, but otherwise, I'd say I'm holding up pretty well. :0 It's been an interesting start to my spring semester, but before we go there, we have to cover blog housekeeping, and thus talk about THE LENTEN BOOK CLUB! Ok, so the tiebreaker poll was a bit of an epic fail. :0 We're all apparently book lovers who simply CANNOT be forced to choose between books because the tiebreaker poll ended in a tie. I get it, I really do! 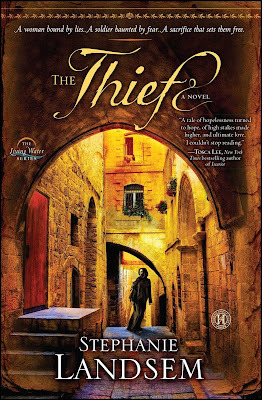 So here's what I propose that we do: Let's read The Thief for Lent, the theme is just SO perfect, and for the Summer Book Club we will read Kevin Lowry's conversion story, How God Hauled Me Kicking and Screaming into the Catholic Church. We will not have another book poll for a while, because well, we're all polled out. ;-) But we *clearly* all want to read these two books, and so we will read both! Let's work on acquiring The Thief for Lent, and after Easter we'll look at starting a Summer Book Club focused on apologetics in June-ish. Sound like a plan? All right, sooooooo, my week. I'm exhausted, so there's that. Emotionally and physically. :0 It's not that it's gone poorly, but just like in every other semester, technical debacles abound the instant the first day of class rolls in. Combine that with multiple classes (I have 8 this semester, and this is the *lowest* number I've had since this enterprise started a year and a half ago), nearly 200 students to manage, and catching some sort of nefarious winter bug, and, you know, it takes a toll. I've been dragging the past few days, although my spirits haven't been down, so that's good. I arrived on campus Monday morning in my little Honda Fit feeling mighty trepidatious. I know how first days tend to go: I walked up to my office, and soon learned that internet connectivity was spotty across campus due to a server issue of some kind. 🠔 Yeah, pretty much like that. :-\ My office PC was unaffected, but you want to know what was affected all day long? Our classroom's teaching station. And I was up for the 10 am class slot all by my lonesome. One of my colleagues finagled an iPad mini with an HDMI cable that was able to connect to the WIFI. So I was ultimately still able to use the teaching station and the projector, albeit a bit more awkwardly. The larger problem wasn't fully solved until Tuesday morning, but all's well that ends well, right? Tuesday morning found a new problem. "Tiffany, are you over there? We have a problem. A BIG PROBLEM." That's just what you want to hear shouted from your boss's office first thing in the morning, is it not?! In the first few weeks of our library lab, we guide the students in creating an ePortfolio for their English course; we set them up with step-by-step video instructions on how to do this. Sounds foolproof, yes? It IS, unless a previously undiscovered little glitch occurs in the new ePortfolio software, and students cannot open or edit their portfolios after they've created them. This wouldn't be quite so apocalyptic save for the sheer volume of students that we teach in our lab - and this would be a couple thousand. Whenever we need to apply a fix with so many students affected, things get messy. Some had already created these ill fated ePortfolios, and so now we need to have them create new ones, but do other things to fix the problem and try to banish the old ones. Some had not yet created an ePortfolio, and so now we need them to do yet different things to create a Portfolio. Some will have no idea what is going on (can't really blame them in this instance), some will have 2 ePortfolios and forever be confused by which is which, some will not follow the correct instructions and will produce a malfunctioning ePortfolio, and some will do nothing at all until the end of the semester, when they will inevitably come complain to me about their low grade. I'm hanging in there; I mean, what else can we do? All right, that is my week in a nutshell! Over in CatholicLibrarianChildren Land, it is Catholic Schools Week, and my two munchkins have been enjoying all of the special activities and treats. I'm busily planning for Lent, and have I mentioned that despite my 100% failure rate with journaling, I want to try a journal again for Lent? Because THAT'S guaranteed to go well, right? What could go wrong?! Let's discuss next week! In the meantime, what's up with YOU?! Would you rather our Lenten Book Club be Tea Time podcast discussions or written posts? I'd love to hear from you!